Before going vegan I was a cheese lover. I know, cliché vegan, right? Yep, but also true. I especially liked feta cheese, and always had a container of it in my fridge to sprinkle on just about everything. Until recently, vegan cheeses weren’t a whole lot to write home about it—I’d just sort of avoided them, and definitely didn’t bother trying to make them at home (except for my nut free Parma Jonathan sprinkles). I’m guessing you might feel the same way? You won’t after you try my easy Baked Tofu Feta! Then about a year ago I had my first try of tofu feta and I was super impressed! 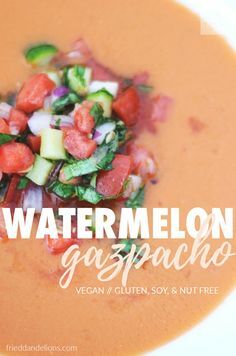 It had the salty bite that I remembered, and it was really easy to make too—but the texture was still a bit off. It was too wet and slippery, like plain old tofu, and I wanted a dry and crumbly feta. Only the highest standards here! After getting my marinade just right, and with no weird ingredients I might add, I decided to dry out the tofu in the oven to adjust the texture. Bam—it was just perfect! I’ve been sprinkling this feta on everything, and I’ve got two (and probably more) new recipes to share with you that use it! Coming up in the next week or so—an all new grilled pizza recipe and a recipe for a delicious pasta with tofu feta walnut pesto. Go ahead and make my easy tofu feta right away so you’ve got some on hand and ready to go! Be sure to take a picture and tag me (#frieddandelions) so that I can see it on your favorite social media platform! ^^^ Tofu feta is the perfect topping for homemade pizza! 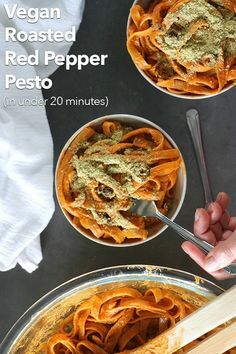 ^^^ My vegan version of an old pasta that I used to love in my pre vegan days. Pretty sure This version IS better….and the recipe is coming your way soon! 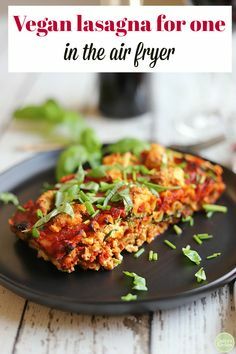 Transform tofu into classic feta, with a perfect salty bite and crumb texture with my easy Baked Tofu Feta Recipe!! You'll never miss the cheese! Press the block of tofu (in a press, or wrapped in paper towels, in between plates and weighted down). Combine all of the marinade ingredients in a small container (large enough to eventually fit the tofu). Cut the tofu into small 1/2" cubes. Place the tofu cubes into the marinated and gently mix to cover all of the tofu. Marinate in the fridge for at least 4 hours, but preferably overnight, turning it a few times to make sure the marinade coats all of the tofu. After the tofu marinates, drain it, discarding the marinade. 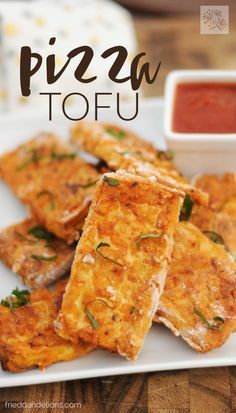 Spread the tofu out onto a baking pan lined with parchment. Bake in a 200° oven for 2 hours, turning tofu every 30 minutes. Remove from oven and use wherever you would normally use feta. Will have to give this a try! Many years ago, I purchased Artisan vegan cheese by Miyoko Schinner starting out with her cheddar cheese that was everyone's favorite. Now I will be trying this as soon as our weather cools down a bit. Thanks very much for your recipes. Of course! I hope you love it!!! Do you keep it in the marinde after baking aswell? Or do you just store it just as Is? You can just store it as is! No need for the marinade, but you could store it that way if you like! 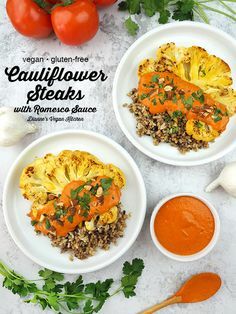 Hi , Busy making this , do you put it back in the marinade after it’s baked ? Or do you keep it dry in the fridge ? Do you store the 'feta' in olive oil after it is done ? I'm so glad to hear that! I agree....it's a little bit of extra time, but it is always worth it in the end! Great idea to double it!!! OMG! I just made this and it is a game changer! Perfect texture & flavor! Now I'm finding recipes to use this up. I'm assuming it will freeze well, yes? Thank you! I haven't tried to freeze it. Let me know how it turns out! So glad you enjoyed it! 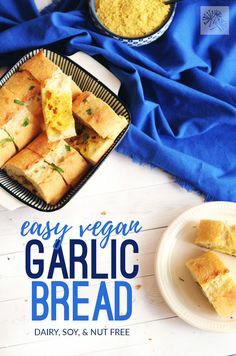 I'm going to try this recipe very soon. I haven't been too happy with some of the feta tofu recipes I've tried, probably because they didn't call for baking the tofu. I felt like the baking gave it a texture MUCH more similar to dairy feta. I like the flavor of the other fetas, but the texture just wasn't there for me!